On November 8, 2016, Indian Prime Minister Narendra Modi addressed the nation in a televised announcement, stating that “the 500 rupee and 1000 rupee currency notes presently in use will no longer be legal tender from midnight tonight”. The move, quickly popularised as “demonetisation” and affecting around 86% of the currency in circulation, was justified by the goal to “break the grip of corruption and black money” in the cash-intensive Indian economy. Just over a year after demonetisation, its effectiveness for the stated corruption-reducing purposes is widely debated. A related debate, directly relevant for ICT4D, is on the Government’s statement that the poor and unbanked, who conduct most of their transactions in cash, would be able to cope with demonetisation through ICT adoption. In this view, quick diffusion of mobiles and rise of ICT education among the poor would enable a smooth transition to a cashless economy. Has the “demonetisation through digitalisation” proposition proven true? Pro-poor ICT infrastructure was developed before demonetisation. It consists of the Pradhan Mantri Jan Dhan Yojana, a program providing zero-balance bank accounts to low-income households; the Unique Identity Project (Aadhaar) conferring residents a unique identification number and biometric credentials; and mobile phones being linked to national anti-poverty schemes. The combination of Jan Dhan, Aadhaar and mobiles, known as “JAM trinity”, acts as the Government’s main enabler of an ICT-based agenda for financial inclusion. With the sudden need to deposit the old notes into bank accounts, relevance of Jan Dhan has increased, and Aadhaar has become an enabler of digital transactions. With the uptake of digital wallets, informal sellers were enabled to continue business through mobiles. This suggests that each element of the JAM trinity has acquired a new meaning post-demonetisation, enabling financial inclusion of the poor. Yet, fieldwork conducted in the aftermath of demonetisation raises issues with this argument. As observation in street markets revealed, transacting in a cashless economy requires technologies that support digital systems, in a country where smarthpone penetration is estimated at just 17%. This raises problems regarding the integration of rural, tribal, and urban poor communities in a system predicated on access to advanced forms of ICT. poorer people to interface with banks and credit institutions, exposing them to confusing and often contradictory information on what to do. While volunteers have helped the poor adopt ICTs, an institutionalised system of support has been lacking, weakening the ability of vulnerable groups to interact with credit institutes and cope with the new system. In a nation where an estimated 24% of the population lives without electricity, infrastructural problems make the picture more complex. India ranks 134 out of 176 countries in the ICT development index calculated by ITU, with only a minimum variation over time. Internally, inequality of ICT access puts isolated areas at risk when envisaging a digital transaction system, rooted on well-functioning ICTs. Fragilities in the accountability of payment systems have emerged even in well-connected urban areas. As a cashless economy ensues in India, the real danger is that of widening the extant divide between those who own digital means of transaction, and those who are structurally unable to access them. While the former experience limited constraints in a digital economy, the latter risk to remain locked outside the network and experience economic isolation. As I have argued elsewhere, this may lead to determining a type of economic exclusion that did not exist before, inducting the quasi-coactive adoption of digital tools for the traceability of transactions. Demonetisation was originally presented as a fix to an economy framed as cash-intensive and therefore ridden with corruption. As the move towards a cashless economy takes shape, guaranteeing access to the system and preventing the lock-out of vulnerable communities is paramount. 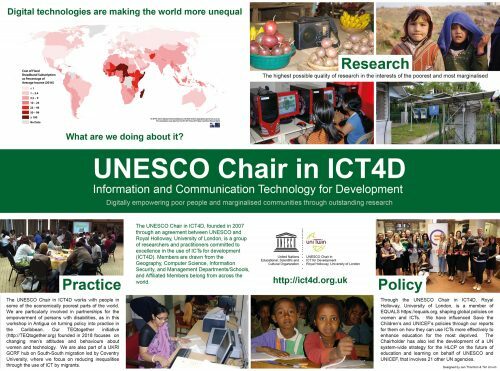 ICT4D research and practice need cautioning against an emerging new form of digital divide, framed in terms of access to digital means of transaction. Bridging this new divide is of crucial importance to enable marginalised communities to sustain their livelihoods in the new cashless system.